Scientists have found the balance necessary to aid healing with high-tech hydrogel. The new hydrogel is made of a self-assembling synthetic peptide that forms nanofiber scaffolds. Like earlier versions, the material can be injected in liquid form and turns into a nanofiber-infused gel at the site of the injury. Without blood to deliver oxygen and nutrients and carry out waste, new tissue growth is limited. So synthetic peptides that form the hydrogel incorporate a mimic of vascular endothelial growth factor, a signal protein that promotes angiogenesis, the growth of a network of blood vessels. In simulations and lab tests, the material works "extraordinarily well," Hartgerink said. "One thing that differentiates our work is the quality of the blood vessels that are formed," he said. "In a lot of the published literature, you see rings that only have the endothelial cell lining, and that indicates a very immature blood vessel. These types of vessels usually don't persist, and disappear shortly after they show up. 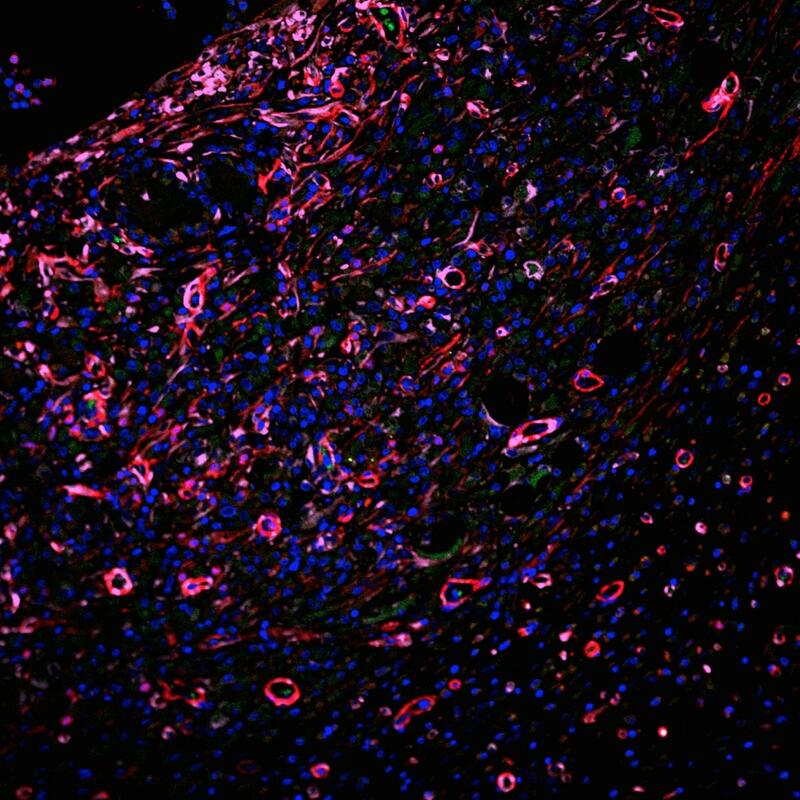 "In ours, you see that same endothelial cell layer, but surrounding it is a smooth muscle cell layer that indicates a much more mature vessel that's likely to persist." "That is an extremely common problem in synthetic materials put into the body," he said. "Some avoid this problem but if the body doesn't like a material and isn't able to destroy it, the solution is to wall it off. As soon as that happens, the flow of nutrients across that barrier decreases to almost nothing. So the fact that we've developed syringe-directed delivery of a material that doesn't develop fibrous encapsulation is really important." "There are a lot of features about this hydrogel that come together to make it a unique system," Hartgerink said. "If you look through the literature at what other people have done, each concept that is involved in our system probably exists somewhere already. The difference is that we have all these features in one place working together." The lab based at Rice's BioScience Research Collaborative is collaborating with Texas Heart Institute to validate the new hydrogels. Published in ACS Nano. Co-authors are Rice undergraduate students Nichole Taylor, Siyu Shi and Benjamin Wang and graduate students Abhishek Jalan, Marci Kang and Navindee Wickremasinghe. Kumar is a postdoctoral research fellow in Hartgerink's group. Hartgerink is a professor of chemistry and of bioengineering. The Robert A. Welch Foundation and the National Institutes of Health supported the research.